Here in Well Future Pharmacy, we advocate every patient’s right to access highly customized medications as we provide Medication Compounding in Michigan Ave. Chicago Illinois. Long gone was the idea of having a one-size-fits-all treatment for all clients, especially those with special concerns in drug components and dosage forms. The art of compounding existed for a long time already, together with the science of pharmacy. However, the advent of drug mass production caused it to be quite minimally exposed for some time. It was not until the recent years that compounding technicians and pharmacists decided to bring back the technique. Compounding is a very strict process, requiring meticulous attention to technology and medical knowledge to be completed. Nevertheless, its demand has increased with the growing realization that medications, in order to achieve their full potency, should be carefully designed and created based on every client’s specific needs. Well Future Pharmacy recognizes the grave importance of preparing compounded medications properly to ensure efficacy. 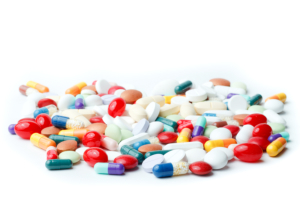 We maintain stringent standards when it comes to selecting components for our customized drugs. We perform our compounding services in a very well controlled environment, equipped with the latest in technology. We offer oral medications, such as oral capsules and suspensions and also transdermal topical, which consists of gel, ointments, vaginal capsules and cream. Of course, our compounding technicians are armed with the latest and best in medical knowledge to guarantee positive outcomes. Well Future Pharmacy is licensed and certified by authorities to perform compounding services. This means that our practices are highly acceptable and trustworthy, as proven by our long list of clients and their testimonials. Do you need a custom formulated medication? We can help! We can make a variety of medications and custom tailor it to suit your needs. We’ll work with you and your doctor to find the right formulation to suit your needs. If you have some more questions about the compounding services in Well Future Pharmacy, you may contact us at 312-589-7620.